ITAM Intelligence provides coaching and expert consultancy to enable small and medium sized organisations to stay in control of their IT Assets. The benefits of IT Asset Management are significant and include maximised return on investment, increased negotiating leverage with vendors and reduced information, security, financial and regulatory risks. ITAM Intelligence operates as your expert on the inside. From the first conversation we add value to your business through a thoughtful and insightful assessment of your current situation. ITAM can be challenging to get right and the risks of getting it wrong such as software audits, hardware and data theft are significant. ITAM Intelligence was established in 2009 and our services have been developed to provide your business with just the right level of guidance to meet these challenges with confidence. Areas of expertise include support with IT Asset Management diagnostics and strategy development, vendor negotiation, software audit defence and merger and acquisitions. As your expert on the inside who is committed to putting your needs first, ITAM Intelligence can help you on both a short term or longer term advisory basis. We can support you to understand and define your strategic ITAM requirements, build a business case for ITAM transformation, assist with vendor negotiations or provide our ongoing expertise on a retainer basis. Our expert advice, creative solutions and hands on assistance will meet your immediate challenges and also enable you to plan the shape of an ITAM framework to support your future needs. Don’t just take our word for it, view our success stories. 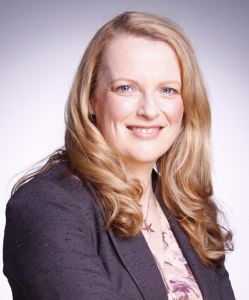 Kylie Fowler is the founder and principal consultant of ITAM Intelligence and is a coach and expert consultant who helps clients to build responsive and compliant Software Asset Management frameworks. Kylie began her career in IT support, IT procurement and asset analysis. From this strong knowledge and experience base Kylie then held a pivotal IT Asset Control role before establishing herself as a highly regarded independent Software Asset Manager. Most recently Kylie has supported organisations including Balfour Beatty Plc and Interserve Plc to leverage the benefits of IT asset management and achieve their business objectives. Kylie is passionate about bringing her expertise to support businesses of all sizes to reduce risk and achieve a return on their IT investment. Kylie is Convenor of the UK SAM Networking Group, a regular invited speaker at industry events and has published a number of thought leading articles.